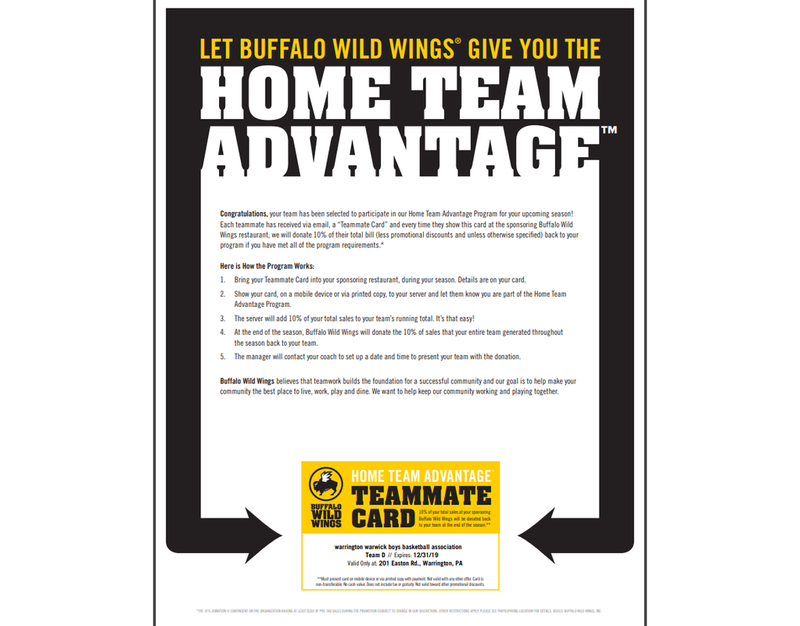 Congratulations, your team has been selected to participate in our Home Team Advantage Program for your upcoming season! community the best place to live, work, play and dine. We want to help keep our community working and playing together.